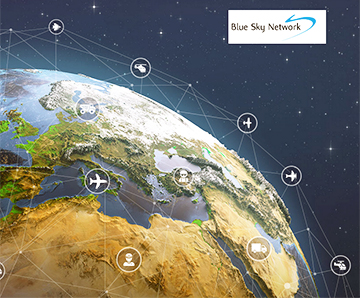 Blue Sky Network (BSN) has revealed that Rock Seven’s RockAIR fleet tracking and messaging device is now part of its product portfolio. The partnership between the two companies is well-founded. In June 2018, BSN announced the integration of their cloud-based SkyRouter tracking, communications and fleet management portal within Rock Seven’s dual-mode Iridium/GSM RockFLEET tracker. By this means, BSN has been able to reinforce and increase its presence in the maritime market, leveraging the RockFLEET’s versatility as a standalone GPS tracker with suitability for permanent mounting on vessels ranging from yachts and fishing craft to commercial ships. The SkyRouter solution is now being integrated with the RockAIR. 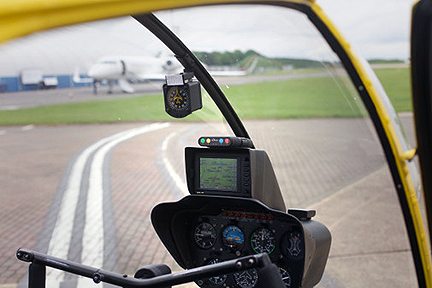 BSN’s SkyRouter solution will also now be integrated with the RockAIR — the unit’s small form factor has been designed for easy portability and convenient but unobtrusive positioning on the dashboards of light aircraft, rotorcraft and land vehicles, with a variety of mounting (and quick-release) options. Its least-cost routing capability enables the built-in GSM to use terrestrial mobile networks wherever practicable, but the unit will automatically switch to the Iridium satellite network in areas where GSM is inaccessible. With the global coverage that this service provides, clients can track and communicate with assets in any location. Obtaining a position via the GPS network, the tracker will subsequently transmit this data (using GSM or Iridium, as appropriate) back to BSN’s SkyRouter system. Nick Tucky, BSN’s business development director, said the company is excited to partner with Rock Seven and bring the capabilities of the RockAIR, along with the robust features of the company's SkyRouter command and control platform, to customers requiring a reliable and flexible tracking solution. The ability to seamlessly switch between satellite and GSM networks helps clients save money in their operations, while benefiting from the safety and security vehicle tracking provides. Nick Farrell, Director, Rock Seven, added there can be no greater validation of the importance of vehicle and asset tracking than BSN’s continued enthusiasm to bring Rock Seven’s technology to customers in the U.S. The combination of the RockAIR and SkyRouter represents a service of incredible value and comprehensiveness, taking communications and tracking to the next level.